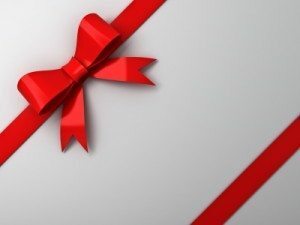 Not just at Christmas time as „Last – Minute – gift“ vouchers are a popular gift idea. 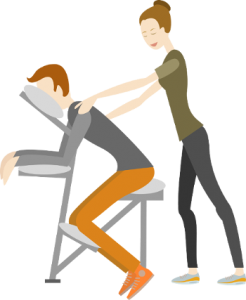 As mobile masseur you with vouchers the opportunity to attract new customers and to offer its regular customers additional services, but should consider some things so that the coupon is only for the recipient to the surprise. A certificate is not „forever“ valid, that much is clear. In BGB clear rules are defined for it. So a coupon is basically valid for three years. Calculated be doing three years from the end of the year in which the voucher was issued. Thus, when a voucher has been issued, for example, at Easter 2015, it is valid until the end of 2018th In individual cases, the life of a voucher can however also be shorter, about two years or even one year to be. This must, however, be justified by particular circumstances of the case and are indicated separately on the voucher. It would be conceivable in this case for example, if in the next year in wages and other costs will increase and therefore no longer corresponds to the value of the service to the original value of the voucher. But even then, customers can also after three years the amount already paid, less an allowance for profit, which is the mobile masseur escaped through the non-payment reclaim. To avoid the trouble and expense, it is easier to have a flat rate coupon valid for 3 years. The greatest value of a voucher is little ago, when he will be presented printed on a dot matrix printer without filthy envelope. The coupon itself should already be a statement about the quality of the services offered on the voucher. The higher the quality of the coupon, the greater the joy of the recipient – and the better the first impression that gets the new customer, without the mobile massage and to have his massage only seen or tested! Meanwhile, there are bargains to have it delivered via the Internet affordable but high-quality print home. The customer can there choose from a variety of design proposals or upload your own designs or photos to customize the coupon to match the company logo. It is recommended to take a heavy paper quality to the quality of the massage – to convey application already the feel of the voucher. Then should „calligraphy“ only the date of issue and the consideration will be recorded by hand, before the voucher is handed over. Anyone can print high quality gift cards, which of course has a cost. A nice, high-quality and matching envelope to perhaps seasonally adjusted, is not cheap. Therefore, a coupon reduces the profit of offered the voucher massage. Nevertheless, it’s a nice way of acquiring new customers – and not every voucher is redeemed! The important thing is also to devalue or withdrawn if it is honored the coupon! These suggestions should therefore successful acquisition of new customers and existing customer loyalty with vouchers nothing in the way!